Welcome to the first edition of Check-In for 2018! This newsletter is circulated free of charge every two months to all eSmart registered library services in Australia. We hope you make good use of it and if you think it would be beneficial, feel free to forward it on. If your library isn't already registered for eSmart, you only have until 30 June 2018 to do so. For those libraries who have already registered, fear not, we are not going anywhere. The eSmart Libraries team will continue to support your journey by providing online and telephone support, as well as up to date information and facilitating the sharing of best-practice resources. Not only that, but from 1 July we are proud to offer eSmart Membership, a new product available to all libraries who have achieved eSmart status. This initiative will offer the next phase of skills development to library staff and assist in supporting library communities to embrace technology safely and confidently. It will be a busy and exciting year ahead and we look forward to working with you closely throughout your eSmart journey. Get ready, eSmart Membership is coming in 2018! eSmart Membership will replace the ‘sustaining’ phase of eSmart with a new ten-point checklist, further professional development opportunities and a range of annual benefits. The system will be kept up to date with new resources uploaded to the system tool. Having done the hard work and become an accredited eSmart Library, we want to ensure that you have all the information, skills and resources you need to continue to be a leader in online safety and digital literacy. Supported by the Telstra Foundation, eSmart Membership will be offered at no cost to all eligible libraries until 2020. The South West region in WA has 21 library services. These libraries worked through the framework together and collectively achieved eSmart accreditation. December’s edition of Check-In featured a wealth of expert websites, outstanding tools and resources, many of which have been designed by libraries. Just in case you missed it, here’s access to the central resource pot to dip into throughout the year. Results from a recent library user survey indicated that patrons viewed brochures and tipsheets as vital to learning about cyber safety. Domain 5 of the framework provides an opportunity to build connections with local organisations, explore outreach opportunities and encourage branches to connect with new groups. Click here for 10 easy ways of spreading the eSmart message. 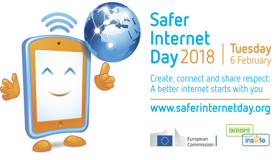 The 2018 theme is ‘Create, Connect and Share Respect: a better internet starts with you. The campaign is global and is supported with activities and resources in Australia by the Office of the eSafety Commissioner to raise awareness amongst communities for more responsible online activity. 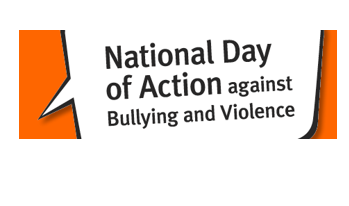 In its eighth year the National Day of Action is a positive Australian campaign that brings school communities together to find solutions that address bullying and violence. Imagine a world free from bullying - register for the day and share your ideas. School Community Libraries can lend support to their school using the resources and lesson plan ideas. 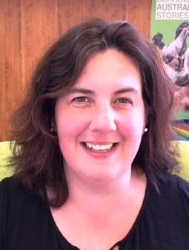 eSmart Libraries Coordinator, Sally Wade took over the lead role last year and has lead her team to the implementation phase of the eSmart framework. Find out more about how they have integrated the framework into their day-to-day processes. An initiative of the Office of the eSafety Commissioner, Young and eSafe provides practical advise by young people, for young people. Tech is irreplaceable for young people so it becomes essential that they have the skills and knowledge to enjoy the online world safely. Find out more. New in February for Parents! Purchase an eSmart Digital Licence in February and receive a free Officeworks $10 giftcard. The eSmart Digital Licence is an online education program teaching school aged children how to stay safe and be smart in the online world. The program consists of 8 topics all designed to provide vital facts about different aspects of cyber safety. Awareness days are a great opportunity to further cement the eSmart message and build new partnerships. A few libraries have used Law Week to focus on online behaviour. Community legal centres have been invited to talk, often to school children, on the legal side of sexting, selfies, copyright and other online issues. Law Week will be held 14-20 May 2018. See here for a previous Law Week brochure. 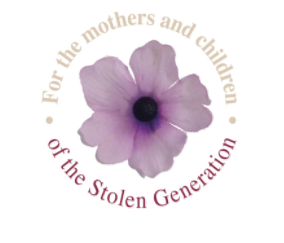 Kimberley Stolen Generation Aboriginal Corporation honing their digital skills. 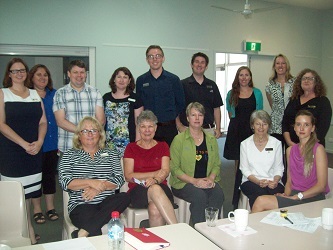 Broome Library linked up with the Kimberley Stolen Generation Aboriginal Corporation and ran trainer led session to increase digital skills. The KSG ladies increased their skills in digital literacy and online safety during their 6 months and are keen to attend more sessions this year. You can view the certificate of appreciation they created here. Connect presentations are one-hour workshops delivered in schools, libraries, workplaces and community organisations. There are a range of different topics to choose from for primary students, secondary students and parents. You may be interested in hosting a cyber safety session at your library. They tap into the Foundation’s area of expertise by raising awareness of key issues, providing expert advice and introducing people to a range of excellent resources, allowing them to learn more in their own time. One of our most popular workshops is Trending: Youth behaviours & technology aimed at parents and carers. It provides an overview of current online trends including major cyber safety issues, the different types of social media platforms, privacy concerns and online security. Rather than simply looking at what children are doing online, it looks at the motivations around online behaviour. Everyone who attends is given a worksheet with ten tips to keep children safe online and a list of useful websites. Workshops start from $500 with discounts for eSmart registered libraries, and bundled costs for more than one workshop. These workshops can also be delivered online. For more detail on the workshops and presentations available through Connect, please visit amf.org.au/connect, email esmartlibraries@amf.org.au, or call the team on 03 9697 0666. Would you like one of the eSmart team to visit your library service? We will be travelling across all four corners of the country in the first half of this year so please get in contact with us if you would like us to stop by your library service. Our partnership with the Telstra Foundation was launched in August 2012 by the former Prime Minister of Australia, the Hon. Julia Gillard MP, the $8 million, multi-year partnership with the Telstra Foundation is delivering eSmart Libraries. The Framework is being provided in collaboration with Australia's library network to all of Australia's 1,500 public libraries.